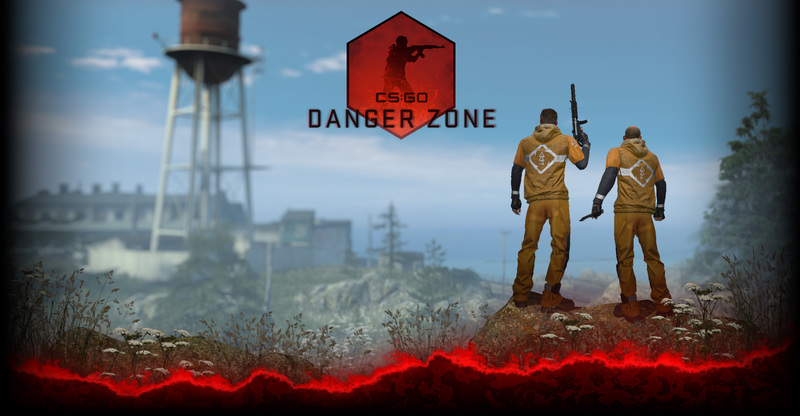 – Six community maps were added, available in official matchmaking to all CS:GO players for the duration of the operation. — For all shotguns except Nova, pellets will now penetrate walls. – Human players can +use a bot to retrieve the bomb. – The spotting code that shows enemies on the radar now considers the map’s fog values to determine if a player will show up or not. – The game now announces if you’ve been “saved” by someone or have “saved” someone. Saving someone means that you eliminate an enemy who is about to kill one of your teammates who is unaware of that enemy. – Added a new convar (sv_showimpacts_penetration) that will display on screen penetration data when bullets penetrate surfaces in game. – Added a convar mp_backup_round_auto, when enabled will keep in-memory backups to handle reconnecting players even if the backup files aren’t written to disk, enabled by default. – Added convar mp_force_assign_teams that when set, will auto assign players to a valid team and does not give them the option to choose teams. – Exposed previously development only ConVar (cl_weapon_debug_print_accuracy) which shows Inaccuracy, Spread, SpreadDistance, Player Velocity, Accurate Range, and some other real time data for weapons when shooting. – Maps have been divided into three groups: Active Duty, Reserves, and Operation. These map assignments will be re-evaluated every Operation. — Fixed a collision exploit near entrance to Underpass. — Blocked visibility through bottom of cover in Bombsite A. — Made ceiling in Bombsite B twice as thick. — Fixed some spots where C4 could get stuck. — Reduced post processing effects. — Thinner pillars underneath trellis in CT spawn. — Thinner pillars on awning in Alt Mid. — Added lights to balcony in Alt Mid. — Removed pretty flowers behind yellow car in banana. — Added a ton of flowers in other areas to compensate. — Calmed down dog in apartments. — Removed tree boost spots. — Added a chickencoop to T spawn. — Changed max chicken population from 10 to 12. — Added back relaxing flamenco music to T spawn. — It is now possible to shoot through the box in the middle of Bombsite A. — Fixed a bug where bots would get stuck. – Competitive matchmaking will no longer consider matches with a very high skill group difference regardless of search time. – Updated all loading screens and the team select screen. — Allows specifying full paths with drive letters for the demo filename. — Hide the main menu when a demo is started from the command line. – Fixed the team select screen lingering and sometimes not going away in some circumstances. – Fixed radar not showing up during the first round of a competitive match on official servers. – Reduced screen effects on high shader settings when zoomed with scoped rifles. – Resolved an issue that was preventing users from earning knife-related achievements in Arms Race.